Display your favourite publications in an original way. 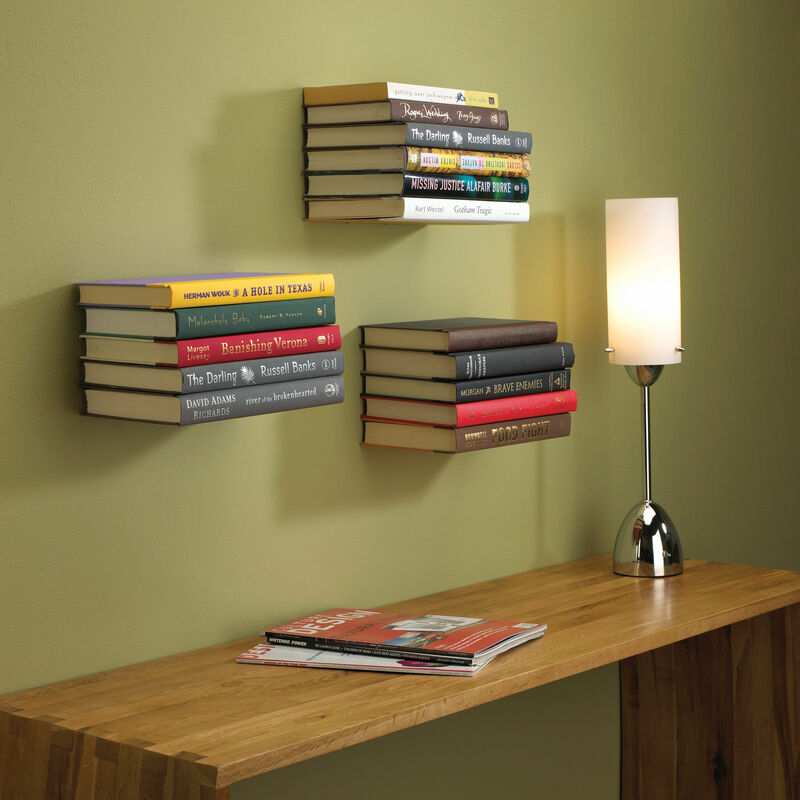 This trompe l'oeil shelf does away with the superfluous to emphasise what’s important: the books! 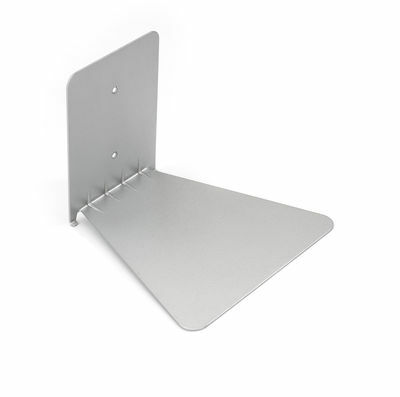 This small steel shelf disappears as you carefully arrange your books on it (the books are stored horizontally). 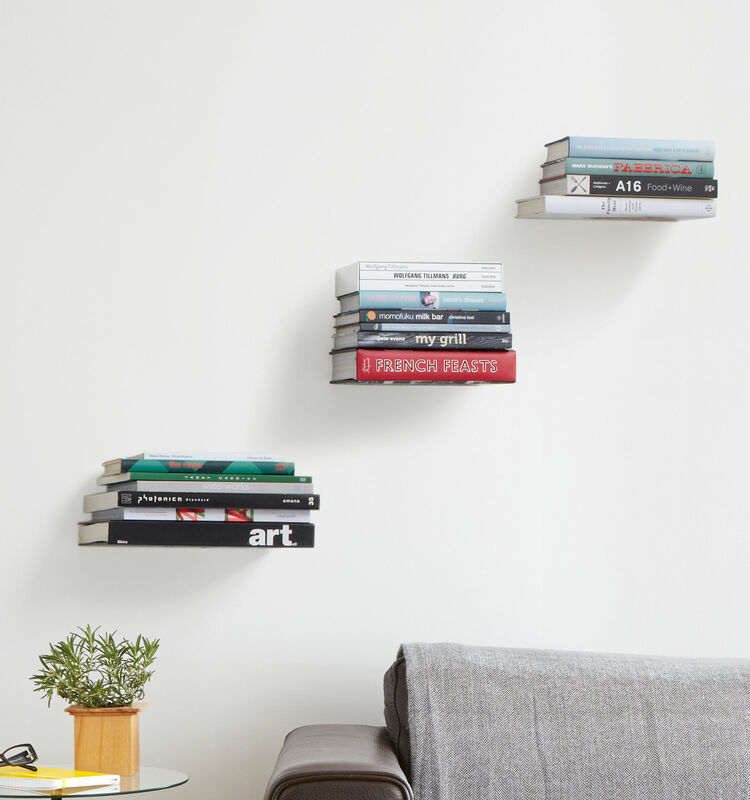 Once full, the shelf is totally invisible: it gives the illusion of a stack of books levitating! You can also use it to store CDs. It’s the first book (the book at the bottom of the pile) that hides the support using hooks that hold the book cover under the shelf. You can stack several modules one beneath the other to create a custom-made column of books!